Our final day in Zhalai Nuoer opened with a spectacular sunrise at the stabling point, with the silhouette of SY 1618 against the pink sky making quite a sight to remember. 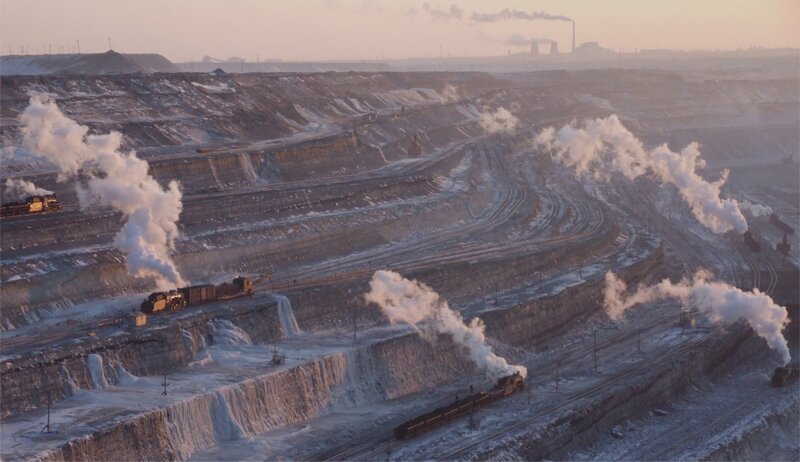 After the sunrise we headed up to the far side of the pit to photograph a spoil train against the backdrop of the pit. Reaching this viewpoint was an eye opener in its own right with an interesting drive across bumpy dirt tracks that rarely would have seen anything other than heavy lorries and the occasional worker’s motorbike. Finally, we made a last visit to the pit – just an hour and a half spent wandering around the upper levels and around the coal unloading plant. It was a little trickier to reach today as there was a channel of water to cross and some of the ice was breaking underfoot. 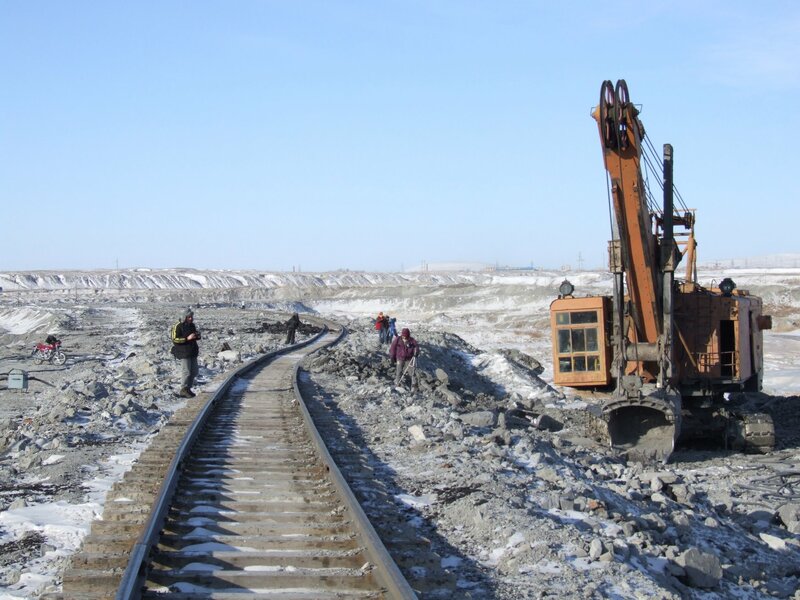 A few workers were using picks to break through the ice and direct the water away through a narrow channel. I guess that this helps explain the amazing ice waterfalls you could see in the pit which just add to the alien feel of the whole place. After our final view of Zhalai Nuoer we headed back by minibus to the airport at Manzhouli, catching a brief glimpse of the Russian border on the way. Farewell Zhalai Nuoer. A second afternoon at the pit under much better light gave us every opportunity to improve on our efforts from yesterday. This time the buses parked up at the top of the pit on the same side that the locomotives were working, not too far from one of the routes taken by the workers to get down to the mine. Finding the way down was sometimes harder than it seemed as some of the levels were completely iced over. On one occasion I happily followed some guys along one such level but it was just too slippery for me. I slipped over and found myself sliding towards the edge until I could use the weight of my rucksack to bring my glide to a stop. I decided to carefully retreat and stay alive! I found another way down and explored the middle tier of levels. It seemed quieter than yesterday but then again there seemed to be more locomotives working at the lowest levels where we hadn’t seen any previously. Later, when a group of us were heading back, we found ourselves waved back by a worker holding a red flag. We could see then that the locomotives on each level had been halted by more men with red flags. Moments later there was an immense cracking sound as an explosion echoed around the mine. 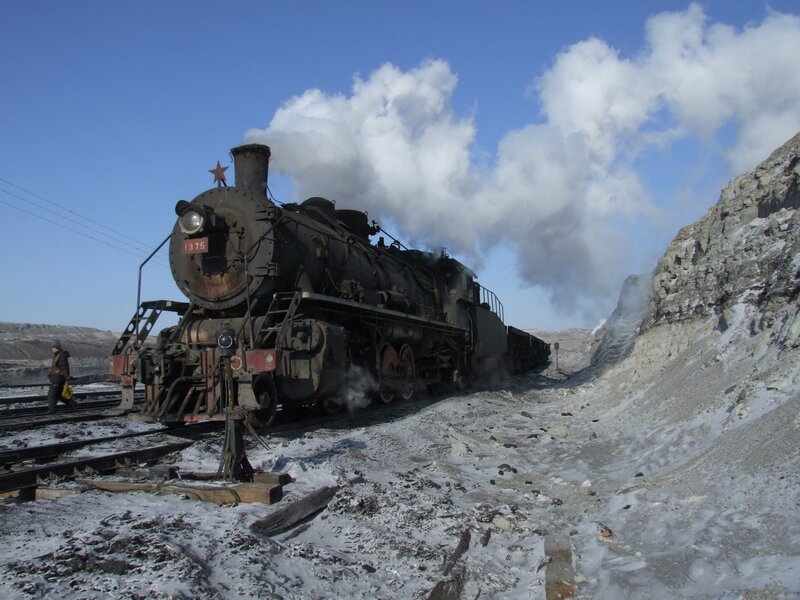 A cloud of grey dust climbed into the air and then the silence was broken by a sudden return to activity around the mine as locomotives started moving again and workers moved forward into the area recently dynamited. I had a truly remarkable day in the pit and I’m fairly sure its one that will still raise a grin from me when I’m old and grey. It was a day of incredible highs punctuated by some rather scary moments without detracting from the whole experience. I managed to fall over about five times (including once on the final climb back up to the buses) so I ended the day with rather sore knees and ankles. The finest moment came at the end as we watched the sun set over the pit – a more glorious sight you couldn’t imagine. After a long day I quickly dozed off on returning to the hotel, almost missing dinner. Having said that, I think the sight of sweet potato in toffee with hundreds and thousands sprinkled on top is one sight I could easily have missed without any regrets! 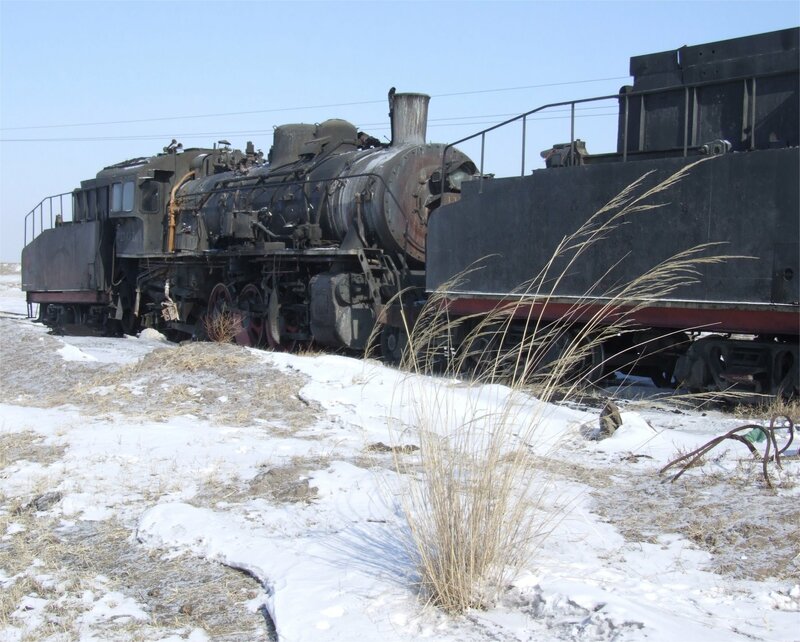 After leaving the silence of the depot, we headed to the desolate landscape of the loco dump at Zhalai Nuoer. As if this wasn’t already melancholy enough, a biting wind added to the effect as we wandered amongst the lines of locomotives and carriages. 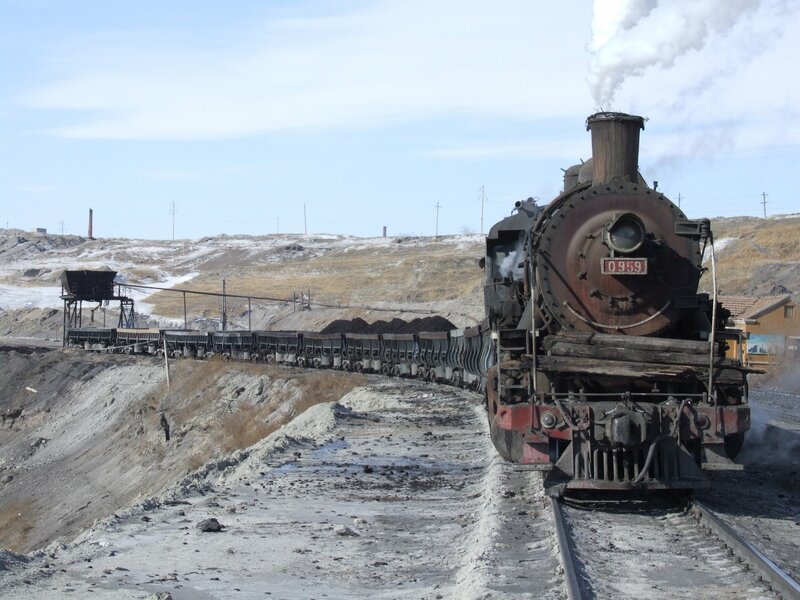 Although we all knew that the end of steam could not be far away it was easy to believe for a moment that this was not the case, given the level of activity we could see in and around the open cast mine (if you could forget about a diesel or two). After all, yesterday I had seen more steam locomotives in action on one day, in one place, than at any other time in my life. However, today we saw more tangible signs of the end. First, we visited the depot to see what was going on. Nothing. There is no longer a saturday shift here. We wandered round the empty buildings and admired the two lonely SYs inside. A boiler lay abandoned in the snow nearby. The silence was ominous in a place that had all the signs of being a hive of activity not so very long ago. The scout motto is ‘be prepared’ and it was something I repeated often enough as a kid. I guess it must have got lodged in my head as I am often ridiculously over-prepared (to the great amusement of my friends) but I got completely caught out yesterday. On my first full day in Zhalai Nuoer I completely underestimated the environment I was heading into and the cumulative effect of the cold seeping in through my layers. Today I took no such chances and dressed for the cold – thermal socks, two pairs of trousers, t-shirt, sweatshirt, jumper, coat, scarf, thermal gloves and a balaclava. 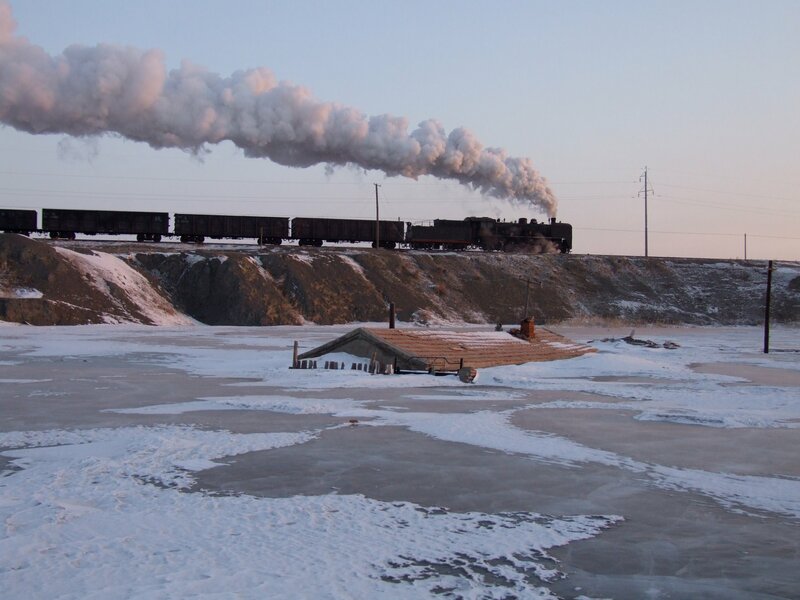 Another sunrise, another frozen pond and yet another strange combination – a diesel hauled freight with a steam locomotive at the tail. A little consternation. 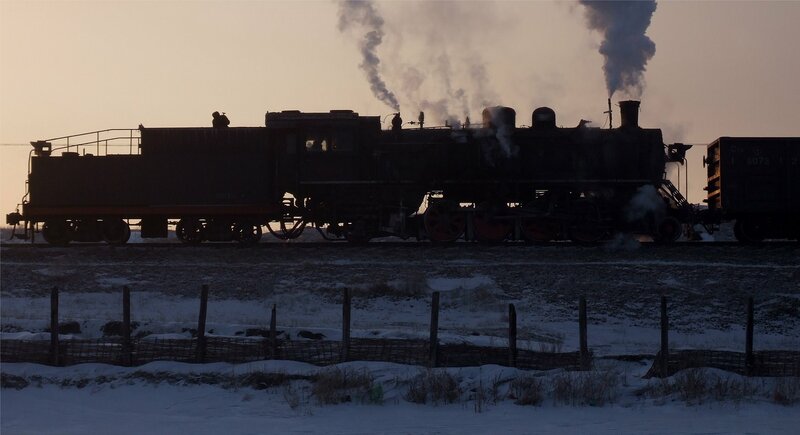 However, luck was on our side today and before the glow of the sun diminished we got our steam propelled freight train. Now, it has to be said that my idea of paradise is slightly skewed. For some people it is a tropical beach in the Bahamas, whilst for others it is the cultural hub of Rome. 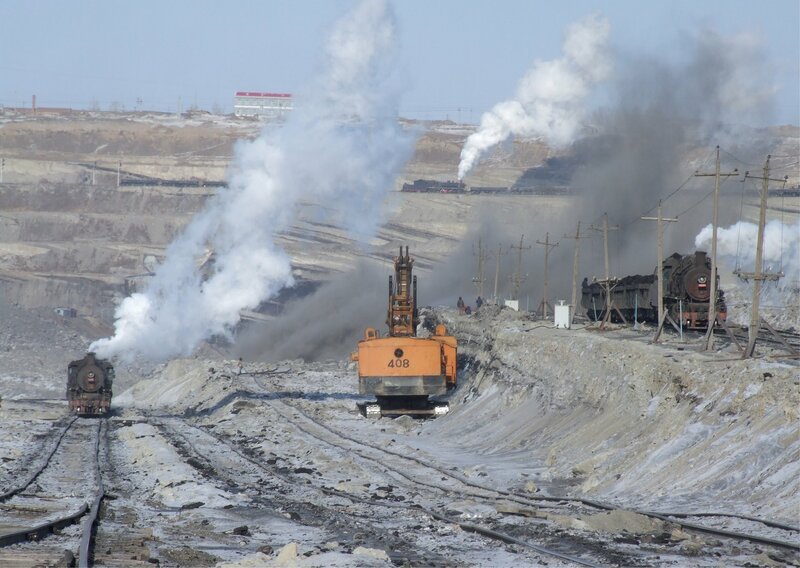 For me, it is an open cast coal mine in Inner Mongolia with temperatures hovering around -31. And here I was, in paradise. Our minibus driver took us to a viewpoint overlooking the pit, dropping us off around about 1.30pm. The view was simply stunning. 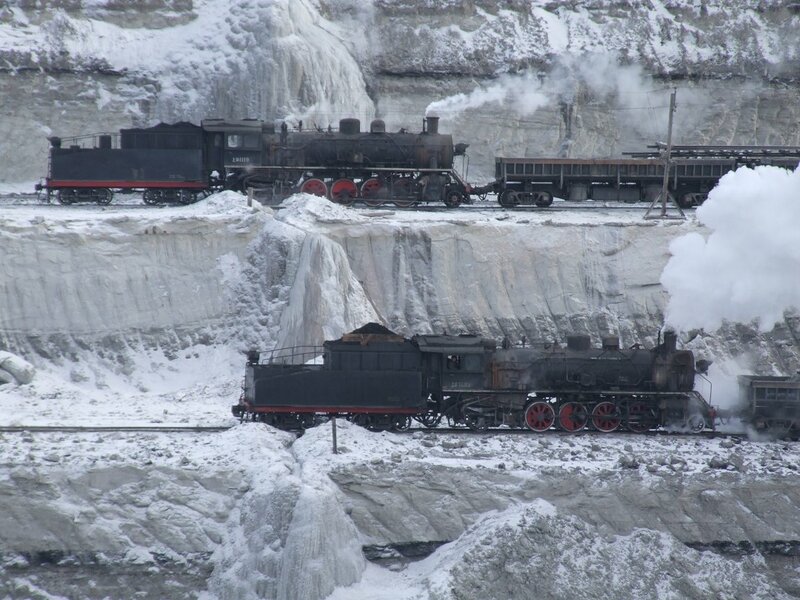 The vast pit was cut with level after level with at least a dozen SY class steam locomotives working and on top of that the levels were punctuated by the most dramatic icy waterfalls. I spent a while trying to get some shots to capture the magnificence of this, before accepting that no photograph could ever do this justice. I spent a while admiring the sights before me and then started my walk down from the viewpoint… taking the road past the huge excavators down to the bottom, dodging the occasional coal lorry along the way. After reaching the bottom, the only way next was back up the other side – level by level – taking the narrow workers paths and handcut earth steps. All the while steam locomotives worked around us and you hardly knew which way to look next. Some tailmen (sitting on the end of the wagons) waved and drivers smiled at our somewhat strange enthusiasm for the spectacle that lay at the heart of their day to day existence. The warmth of the welcome was quite astonishing and humbling. 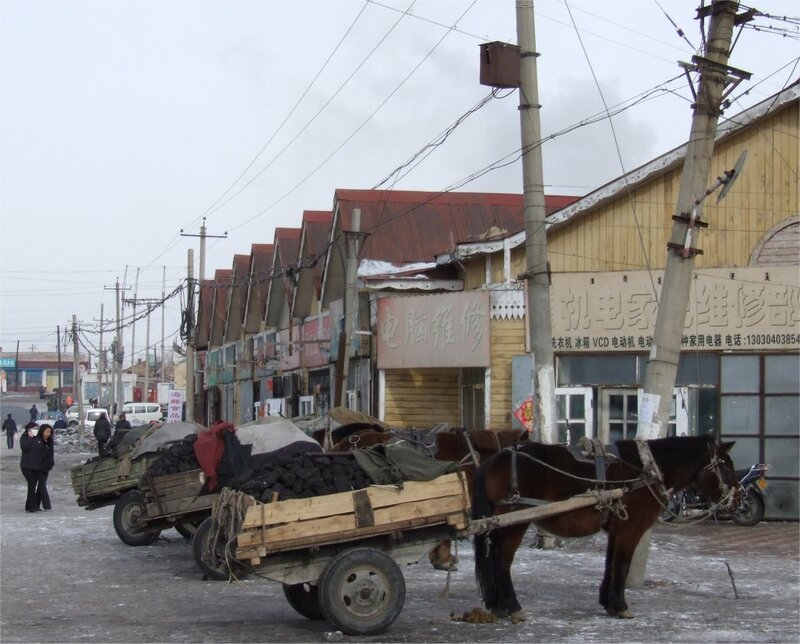 The atmospheric stabling point at Zhalai Nuoer was the next sight on our itinerary. 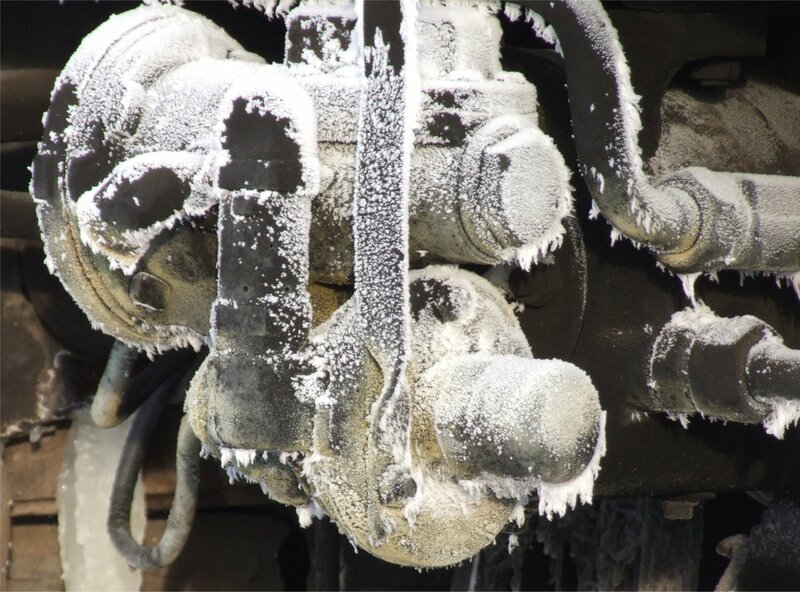 The icicles on one of the stationary locomotives here provided visible evidence of the cold – though, that was already all too apparent in other ways! After a spell at the stabling point we headed back out after the control office passed on a rather strange tip off of a diesel hauling four steam locomotives. This prompted the thought that the end of steam might have arrived sooner than anyone had imagined. We headed out to spot overlooking the line and instead saw two diesels hauling a coal train with a steam locomotive at the tail. It transpired that this strange sight was one of two tests today to see how the new diesels would cope with the normal load for a steam locomotive. Today the tests failed, but the writing was clearly on the wall for steam. 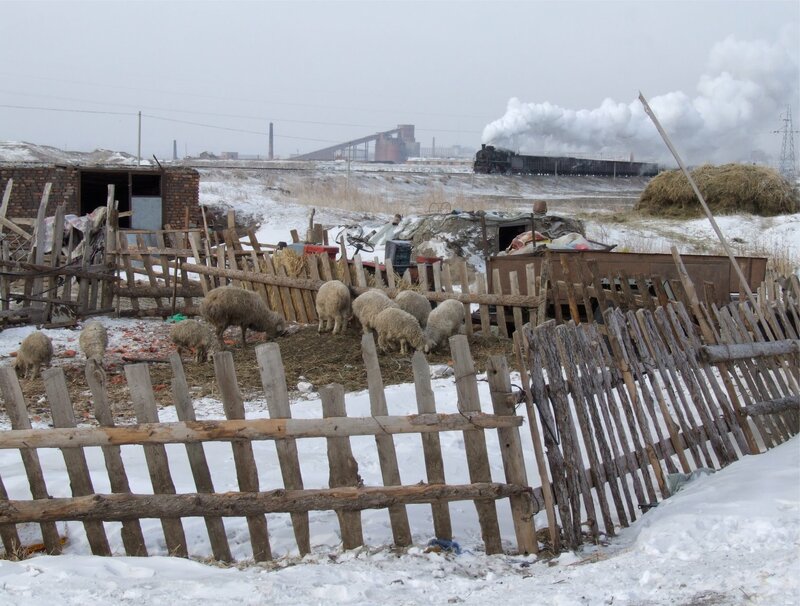 After the disconcerting sight of the test we headed back out to a farmstead on the line to Tiebei which provided an interesting contrast between agricultural and industrial China on the margins. A spot near the washery at Dongfanghong was the final glamorous location for the morning. The washery made an impressive backdrop and after a few shots of the SY at the heart of this industrial site we gathered on a frozen pond to capture the beast in full flight. However, the expected departure never materialised – the injector had frozen and no amount of steam could clear that. I was a bit nervous about standing on a frozen pond until it was pointed out to me that the ice was at least a metre thick and unlikely to melt until May! It was a strange experience nevertheless and one that I never felt entirely comfortable with, like walking on thick glass with a polished surface ready to catch out the unwary. Awoke to find all the curtains in my room stuck to the windows by a layer of ice. It was the sort of morning that would normally make you want to retreat even further under the covers, assuming they were warm enough in the first place… all of which was soon cured by platefuls of hot dumplings at breakfast. 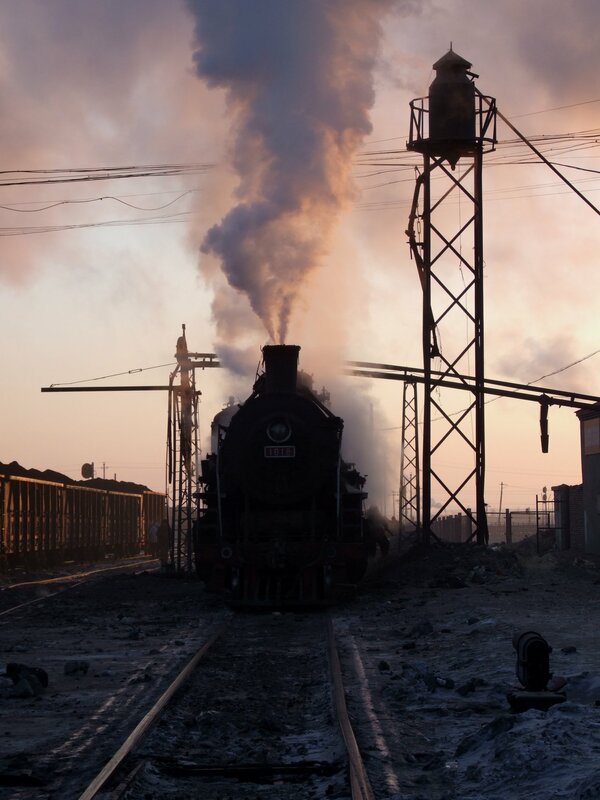 Our early morning start held the hope of a steam filled sunrise and we were not to be dissapointed. 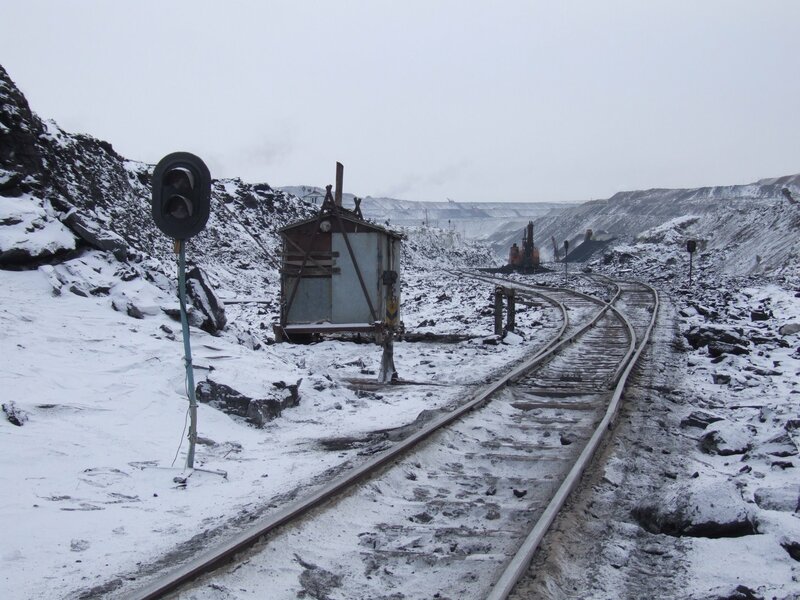 A call to the control office on the mine railway by our guide brought the unexpected news that a steam locomotive was due to make its way to Tiebei (a line that we understood to have been dieselised) at 7.15am, just after sunrise. We hurtled off in our minibus to get to a spot that our tour leader, Bernd Seiler of FarRail Tours, had picked out. On arrival we walked along the line to a frozen pond with a partly submerged house. It would have made an incredible scene at any time of day but at sunrise it was truly stunning. The minibus pulled up in what felt like a village in the middle of nowhere. We piled out, walking down an icy road to a chorus of barking dogs startled by the sudden arrival of a throng of westerners. 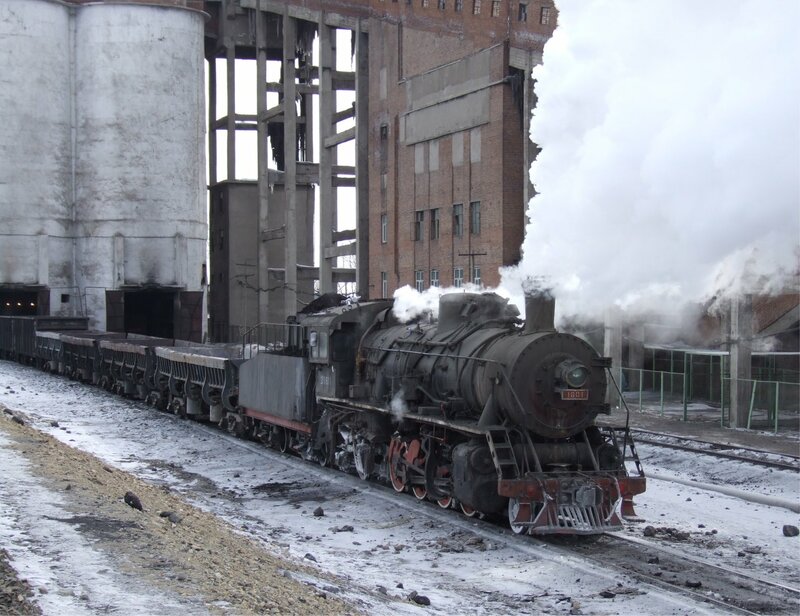 Suddenly, an SY class steam locomotive thundered past on its way out of the nearby yard. Too quick for me to capture (though others did) but all the same it was an amazing first sight of Chinese steam for me. More to the point, this was the first time I had ever seen a steam locomotive in real everyday use. It was quite different to anything I had ever seen before. 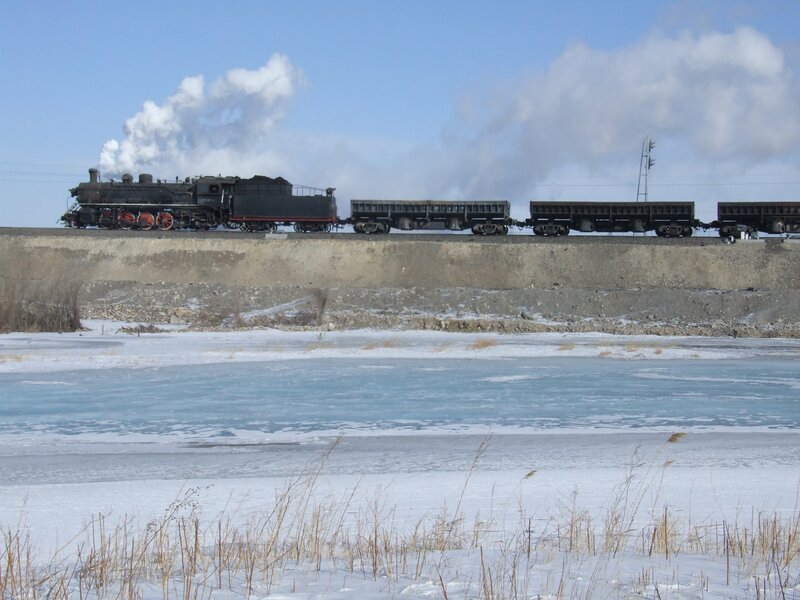 After adjusting to the environment I scrambled up on the bank and marvelled at the sight of Dongfanghong and four SY class steam locomotives (plus one of two new diesels, heralding the impending demise of steam here). The crews were clearly proud of their new diesels and shunted up to us to showcase their new toy. I think I might be equally pleased, given the choice of the two to work with (no matter how much I love steam I think the practical comforts of the diesel locomotive would soon have won me over!). A little later we watched as one of the SYs hauled a string of wagons out of the yard – a perfect note on which to end the daylight hours! 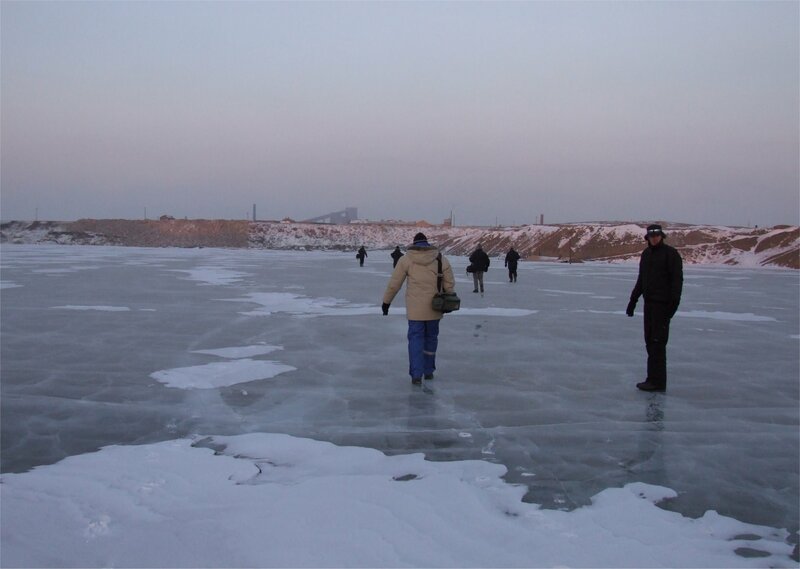 It was now time to head to the comforts of our hotel in Zhalai Nuoer. It was only two years old but you would never have guessed that from the peeling wallpaper in the rooms (mine was carefully re-stuck to the walls with sticky tape!). Hot water was a limited luxury, available only at certain times and even then, only at a dribble! Still, the food served at the dinner table was incredibly tasty – once I had managed to adjust to chopsticks and the competition around the spinning table top!